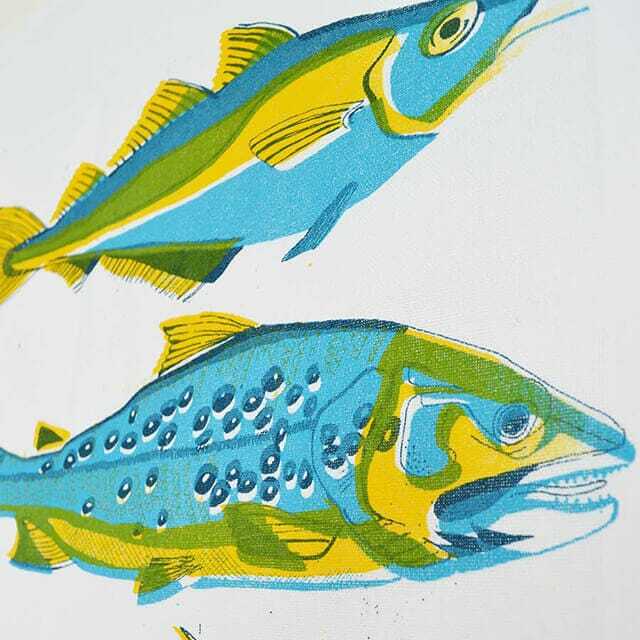 Hand screen printed three colour cotton tea towel, featuring a repeating pattern of colourful fish. 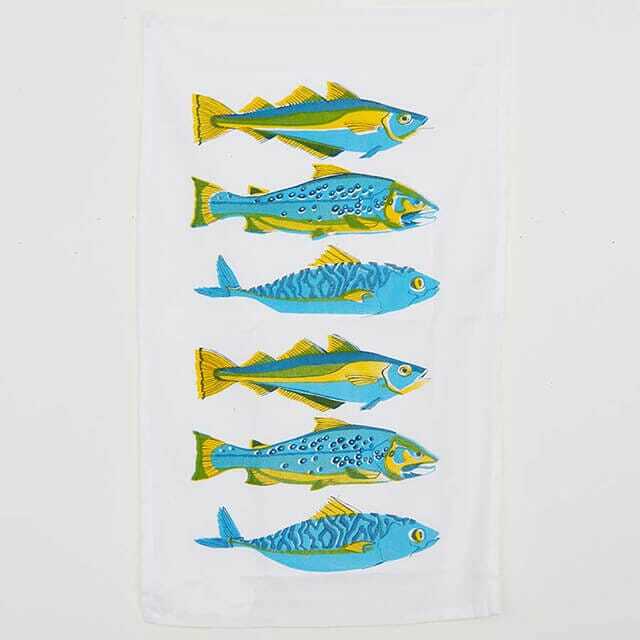 The tea towel measures approximately 50 x 70cm and is machine washable at 30 degrees. It is 100% cotton and is printed using non-toxic inks. Please note as every towel is hand printed they all vary slightly in terms of colour and registration, this adds to the charm!